A hormone naturally produced by the adrenal gland. 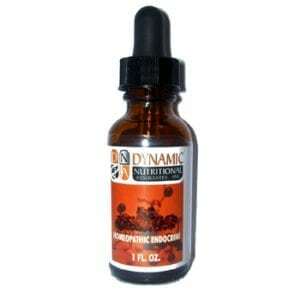 DHEA and pregnenolone are precursors (source ingredients) to virtually every hormone that your body needs. Normally, DHEA is the most abundant adrenal hormone in the body. Age, stress or certain disease conditions cause the DHEA levels to drop dramatically. Pregnenolone is being used as a therapy for numerous conditions, most of them involving the brain and central nervous system. It improves the transmissions of the nerve impulses and facilitates communication between brain cells, thus it has a significant effect on memory, emotional and mood disorders and fatigue. DHEA levels in the bloodstream are a key to physiological age and resistance to disease. When DHEA levels are low, the body is susceptible to disease and other age-related effects. When DHEA levels are high, the body is as it was at its peak, vibrant, healthy and able to combat diseases effectively. Pregnenolone is reported to have several benefits such as treating depression, arthritis, multiple sclerosis and seizures. This hormone is also claimed to be beneficial for slowing down the aging process, enhancing memory, increasing energy, stimulating the immune system and improving the body’s response to stress. One double blind study, indicated that supplementing with DHEA may improve erectile dysfunction in some men. Study participants were given 50 mg of DHEA taken daily for six months. Preliminary studies have indicated that individuals with Systemic lupus erythematosus (SLE) may benefit from supplementing with 50 to 200 mg of DHEA daily. Some clinical trials, but not all, have shown that DHEA supplementation lowers overall body fat mass. Lower than normal levels of DHEA have been reported in elderly women suffering from depression. In one double-blind trial both male and female participants, after supplementing with 50 mg of DHEA daily for six months, reported a remarkable increase in perceived physical and psychological well-being. However, another report has associated severe depression to increased levels of DHEA. Some reports suggest that DHEA may reduce the risk of heart disease and lower cholesterol levels. DHEA has also been reported to lower HDL (Good Cholesterol) and has been linked to certain cardiovascular risk factors in women. DHEA should not be used to protect against heart disease until further is known about this supplement. Results of one double-blind trial suggested that DHEA supplementation may reduce some of the adverse effects of aging. Trial participants were give 50 mg of DHEA daily for an entire year. An improvement in bone mineral loss as well as a significant increase in libido was seen in female participants. Increases in hormones, such as testosterone and estrogen, as well as improvement in skin condition was seen in all trial participants. Since levels of DHEA decrease as people get older, some researchers believe that restoring DHEA to higher levels may delay some of the effects of aging. However, the fact that young people have higher levels of DHEA than older people does not necessarily mean that supplementing DHEA will make people appear younger. In the last few years, DHEA has also been touted for its ability to increase the immune system’s function and restore mental ability. It has also been studied for the treatment of conditions such as Addison’s disease, Alzheimer’s disease, AIDS, chronic fatigue syndrome, and Parkinson’s disease. 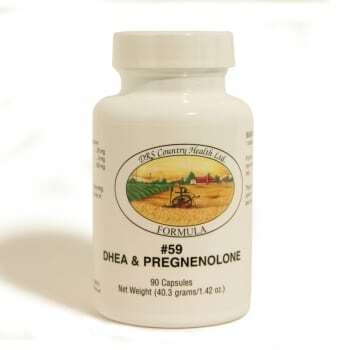 DESCRIPTION: DHEA (Dehydroepiandrosterone) and Pregnenolone are precursors (source ingredient) to virtually every hormone that your body needs. Normally, DHEA is the most abundant Adrenal hormone in the body. Age, stress, or certain disease conditions cause the DHEA levels to drop dramatically. Pregnenolone is being used as a therapy for numerous conditions, most of them involving the brain and central nervous system. It improves the transmissions of the nerve impulses and facilitates communication between brain cells, thus having a significant effect on memory, emotional and mood disorders, and fatigue. INDICATIONS: DHEA levels in the bloodstream are a key determinant to physiological age and resistance to disease. When DHEA levels are low, the body is susceptible to disease and other age-related effects. When DHEA levels are high, the body is as it was at its peak, vibrant, healthy, able to combat diseases effectively. CAUTION: If you have breast cancer or prostate cancer consult your health practitioner before using. For adults only. OTHER INGREDIENTS: Cellulose, Gelatin* (capsule). SUGGESTED USE: As a dietary supplement, one (1) capsule daily, or as directed. *The Gelatin used in the manufacturing of the capsules is Sodium Lauryl Sulfate (SLS) free. WARNING: NOT FOR USE BY INDIVUDUALS UNDER THE AGE OF 18 YEARS. DO NOT USE IF PREGNANT OR NURSING. Consult a physician or licensed qualified health care professional before using this product if you have, or have a family history of, prostate cancer, prostate enlargement, heart disease, low “good” cholesterol (HDL), or if you are using any other dietary supplement, prescription drug, or over-the-counter drug. Do not exceed recommended serving. Exceeding recommended serving may cause serious adverse health effects. Possible side effects include acne, hair loss, hair growth on the face (in women), aggressiveness, irritability, and increased levels of estrogen. Discontinue use and call a physician or licensed qualified health care professional immediately if you experience rapid heartbeat, dizziness, blurred vision, or other similar symptoms. KEEP OUT OF THE REACH OF CHILDREN.